Time to Buck the Trend! Will it happen this season, you decide! As Luton Town prepares to enter the finishing straight in the 2014/2015 season, we sit in 8th place with 58 points. The third automatic place is currently occupied by Wycombe Wanders who have amassed 74 points, 16 more points than the Hatters. Common sense would indicate that six defeats on the trot have ruled out automatic promotion. Looking at the play-off zone, Plymouth Argyle occupy the last of the available place and have 60 points, 2 more than Luton Town. 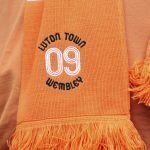 Which would seem to indicate providing Luton can get that spark that will end the run of defeats then Luton are still in it although it seems that we`ll be entering those dreaded play-offs that seem to always end in disappointment. Time to buck the trend methinks!